Oxford University Press Canada, 9780195415124, 448pp. Lucy Maud Montgomery (1874- 1942)-whose Anne of Green Gables and many other novels are loved by readers around the world-kept extensive journals for most of her life, beginning them in 1889 when she was fourteen and continuing them until shortly before her death. Spontaneous and frank, they are unusual for their narrative interest: Montgomery's gifts as a storyteller are as much evidence here as in her novels. This first volume of the immensely successful Selected Journals of L.M. Montgomery launched in 1985, takes Montgomery to 1910, the year before her marriage, when she left Prince Edward Island. The autobiographical content will fascinate every devoted reader of the Anne books. 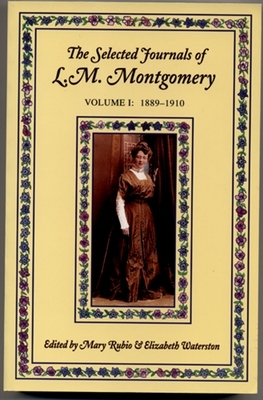 But the Montgomery journals are especially interesting because they provide a unique social history and the privilege of viewing closely the life of a remarkable woman. Comprising perhaps the most vivid and detailed memoir in Canadian letters, the journals join Anne of Green Gables in ensuring Montgomery's lasting place in Canadian literature. This volume is a rich and engrossing prelude to the whole.